Canine Preventative Care: How Often Should my Dog See a Veterinarian? Small VS. Large Breed Dogs: Which is right for you? Thinking of getting a Bulldog? Let’s plan wellness first. Don’t forget your fur babies this Valentine’s Day! You Got a New Puppy! When you go to a doctor, or bring your pet to the vet, it can be an anxiety-inducing experience. When surgeries get brought up or anesthesia is simply mentioned, you might become alarmed. 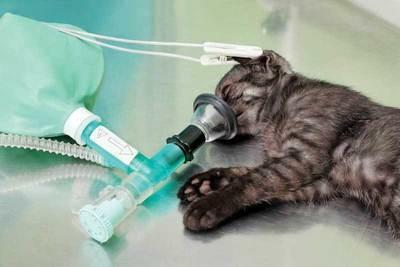 Today we’re going to try to quell any fears you may have about anesthesia and provide reliable information about it so that you can make informed decisions should anesthesia be a possibility for a pet needing treatment. Very simply, anesthesia prevents one from feeling pain. In fact, the word has Greek roots that, when put together, mean “lack of sensation.” Anesthetics may be “local” meaning that they will numb only a small part of the body, or “general,” meaning that the patient is gently rendered unconscious so as to not experience pain or trauma from a procedure. Categories other than local and general exist, but these two are the most relevant to our discussion below. Local anesthetics are often used for more minor procedures, for instance should your canine companion needs stitches to close a wound. General anesthesia would be used for more potentially painful or traumatic operations, including invasive surgeries and even dental cleanings. In either case, the goal is ultimately to keep your furry family member healthy as well as comfortable, and to minimize pain and discomfort. As with many medical procedures, there are risks associated with anesthesia. An estimated 1 in 100,000 animals will have some sort of reaction to an anesthetic agent, but those reactions are not all severe reactions. They may range from mild swelling at the site of injection or a mild decrease in cardiac output, to a full-blown episode of anaphylactic shock or death. Many experts put the risk of anesthetic death as less than the risk of driving to and from the hospital to have the anesthetic procedure. Still, you only want anesthesia to be used when necessary, and at NOVA Pets we are committed to using anesthesia only when the benefits outweigh the risks. We want to reduce risks and discomfort that are present as well. We can screen for sub-clinical problems via blood tests to help minimize risks and reduce the probability of using anesthesia on someone who might have a negative reaction. On your end, you can ensure that your pet’s complete medical record history have been requested from prior vets and sent to our office before your appointment. While your pet is under anesthesia NOVA Pets monitors them closely to prevent complications. More specifically: personnel monitor your pet closely, pulse oximetry is used to monitor the amount of oxygen in the patient’s blood and the pulse rate, electrocardiograms (ECG/EKG) are used to observe heartbeat patterns, blood pressure monitors are employed, respirometers measure the number breaths per minute, and of course heart rate monitors are used to measure the number of heartbeats per minute. Still other equipment may be used as needed! Should you have any questions about our practices as related to anesthesia, or should you need to arrange a consultation for a procedure that may involve anesthesia, please don’t hesitate to contact NOVA Pets at (703) 378-9791. What is Addison's Disease, Could my pet have it, and what do I do next?